ESR | July 29, 2002 | The Posse Comitatus Act: Can we maintain American freedom without it? The Posse Comitatus Act: Can we maintain American freedom without it? It seems an odd first step. Why would the head of Homeland Security, Tom Ridge, recommend a repeal of the Posse Comitatus Act as a first measure towards fighting terrorism? The Posse Comitatus Act was approved by Congress on June 18, 1878. 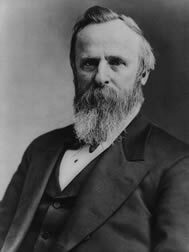 The measure was in response to the disputed election of 1876 where Rutherford B. Hayes went to bed the loser, but eventually found his way into the Oval Office. The troops who President Grant had stationed at polling places may have had an undue influence over the ballot boxes and stolen a victory for Hayes. Whether the election was actually fraudulent or not, Congress thought it wise to avoid the appearance of impropriety by seeing to it that federal troops would never again be stationed next to the polls - hence the advent of the Posse Comitatus Act. What the act essentially did was render the use of federal troops for civilian law enforcement illegal. In a sense, the Posse Comitatus Act was a revolt against the federal centralization which had been conducted under the Lincoln and Grant administrations. States and local communities had the right to police themselves; they weren't to be subjected to federal intimidation (remember, this was before the IRS). Not eager to deny himself the power to intimidate that had been enjoyed by his recent predecessors, Hayes vetoed the act citing the "right of the United States government to use force . . . to protect these elections from violence and fraud." One can easily determine from this that Hayes adhered to a theory of rights that would be quite at home on the modern Supreme Court. The Posse Comitatus Act was not an absolutist measure; it does contain exceptions for the use of federal troops "in such cases and under such circumstance as such employment of said force may be authorized by the Constitution or by act of Congress." (This exception clause has been used several times; most recently when the Truman administration, in response to a rail workers' strike, nationalized the railroads under the control of the Army Corps of Engineers.) In short, Posse Comitatus provides a barrier against the pell-mell deployment of troops by the President against the American people. It may be one of the most common-sense-laden pieces of legislation ever to come out of Washington. While Tom Ridge may seem overly eager to tamper with this safeguard, Sen. Joseph Biden's recent comments were even more concerning. In a recent interview, Biden recalled that he was ready to modify the Posse Comitatus after the Oklahoma City bombing. At that time, Biden and former senator, Sam Nunn, "introduced legislation that would moderately alter the posse comitatus." Biden's desire to alter the Act - after a single act of terrorism in Oklahoma City -seemed a radical step and his effort failed. He now laments that under the current provisions "when you call in the military, the military would not be allowed to shoot to kill, if in fact [the military] were approaching the weapon [of mass destruction]." But Biden is assuring that alterations which Congress might make to the Posse Comitatus would not mean radical changes to civil liberties: ". . . we're not talking about general police power . . . [only the] idea that you could have your local National Guard, you know, with arrest power like your local policemen." But herein lies the rub. What Biden didn't disclose is that the Posse Comitatus Act does not directly apply to National Guard units because they are under the control of the governors of their respective states - not under the control of the president. Under the type of hypothetical emergency scenarios that Ridge and Biden are fond of constructing, state governors could (and most assuredly would) deploy the National Guard in full cooperation with federal authorities - however, governors would also be free to recall their guardsmen should they feel that military actions were unduly impinging on the rights of state citizens. While Ridge and Biden fabulize about Schwarzenegger-esque domestic shootouts between U.S. military forces and dirty-bomb-toting terrorists in an Amtrak tunnel, the truth is much more sobering. The federal government has yet to prove that it can properly interpret the intelligence that leads them to deploy the anti-terrorist commandos in the right place at the right time. While a modification of Posse Comitatus makes Americans practically no safer, it would open the door to old abuses. Had the Biden initiative to repeal the Posse Comitatus Act passed in 1995, Bill Clinton would have been free to deploy troops to Florida to ensure the validity of the presidential election recount. Need anyone say more? C.T. Rossi comments on contemporary politics and culture for the Free Congress Foundation.